Francesca Marchesi discovered the Alexander Technique while studying with Conrad Klemm, with whom she graduated as a flute player in 1984 at Winterthur in Switzerland. She undertook the study of the Technique with Irma Rellstab and Shaike Hamelin. In 1989 she started professional training at “Centro Italiano Tecnica Alexander”; with Fran Robinson and Angelo Cinque of the Scott and Carrington schools, becoming a certified Alexander Teacher in 1992 and refining her professional skills with workshops and special courses (John Nicholls, 1993 to 2002; Ron Murdock, 1998; Daniele Bottaro, 2001; Dorothea Magonet, 2004). Fascinated by the body-mind interaction in musical performance, she graduated in 1998 at Florence “Cherubini” Conservatory in Musical Pedagogy with studies on the relations music-movement and the neurological aspects of musical activities. She participated in the International Alexander Teachers Congress (Engelberg, Switzerland, 1991) and the 6th International Congress of Alexander Teachers in Musical Institutions (Royal Northern College of Music, Manchester, 2006), presenting her world also to the wider general audience. She is invited for seminars and conferences at Conservatories and major music schools all over Italy (Conservatorio "Dall'Abaco", Verona; Istituto Musicale "Tonelli", Carpi; Istituto Musicale "Mascagni", Livorno; Conservatorio "Rossini", Fermo; Centro "Goitre", Arezzo; "Civici Cori", Milano; Scuola Comunale di Musica, Cecina; Istituto Musicale "Verdi", Ravenna; Scuola di Musica "Vassura Baroncini", Imola; Scuola di Musica "Verdi", Prato; Scuola di Teatro "Creatio", Rosignano; Accademia della chitarra, Pontedera; Scuola di Musica, Poggibonsi; Scuola di Musica "Bonamici", Pisa; Centro di Ricerca e Sperimentazione per la Didattica Musicale, Fiesole; C.I.M.A., Roma). 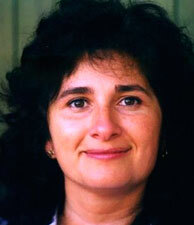 A member of the London-based Society of Teachers of Alexander Technique, Francesca Marchesi lives and teaches in Tuscany.